January 2013 can safely be described as Pizza Overdose month in my life. 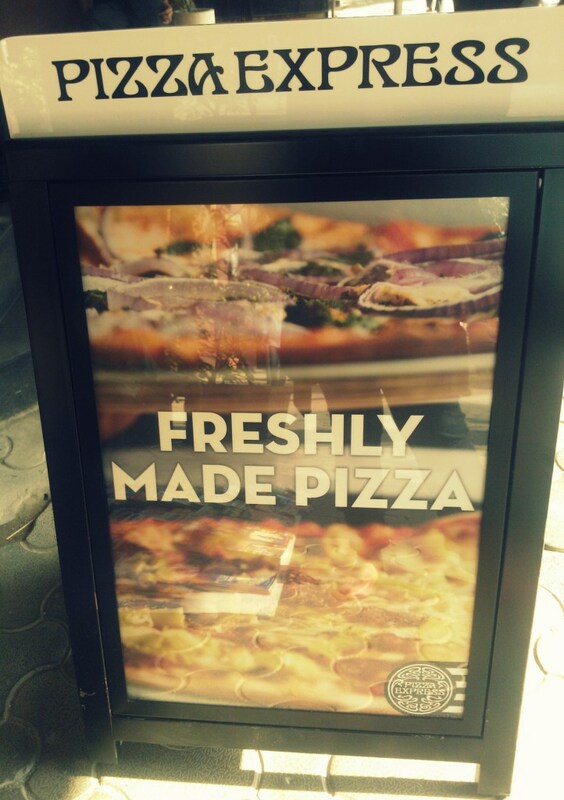 I have had so much Pizza that I could not bring myself to even write the post for this review! 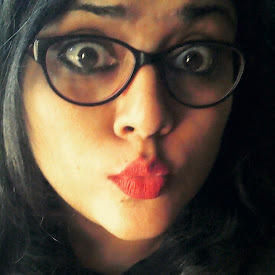 But now that we have officially entered Feb (and also because I was going through the pictures in my archives and I felt like visiting the place again), It is high time that I write about this cute (not so) little joint at Apollo Bunder near Gateway of India in Colaba. It is hard to miss Pizza Express with its lovely entrance and the famous Le Pain Quotidien right next door, and something as inviting as this. We were greeted by the ever so effervescent Chef Johnny and he took us around the restaurant and I was amazed at how huge the place is from the inside. The Pizzas are made in an open kitchen which is right in the middle of the restaurant and if you ask the Chefs, maybe they will let you help them make your pizza too! 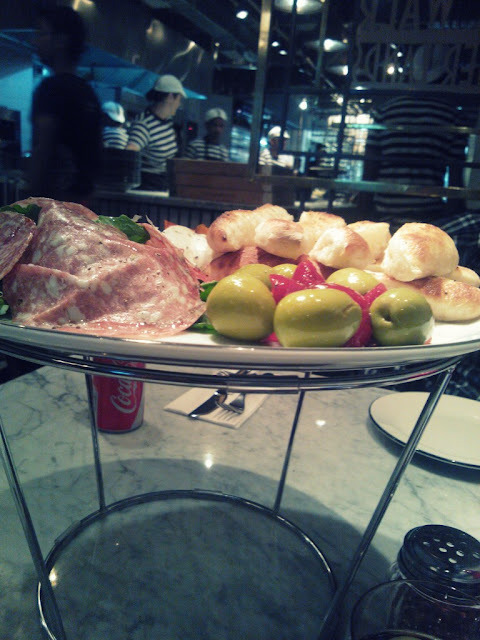 than tiring but it also had us starving for food so without any delay we ordered for the antipasti. Chef Johnny was happy enough to put together a mixture of the Vegetarian and Non Vegetarian options for us! 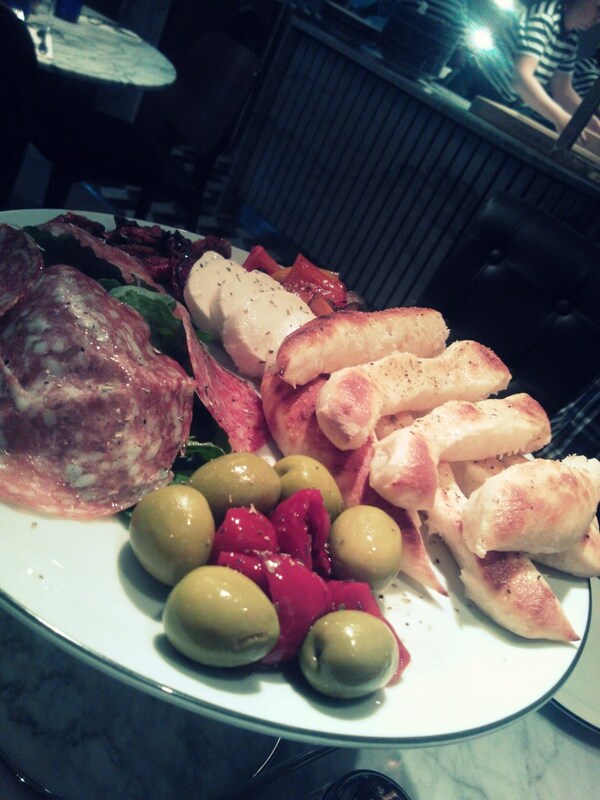 The platter came with Cured Italian meat, large green Olives, roasted Tomatoes, baby Mozzarella, sweet Peppadew Peppers and Rocket served with Dough Sticks, and Chargrilled Italian Aubergine and Red & Yellow Peppers. We were overwhelmed looking at the size of the platter and considering we had yet to start our proper meal, but our server promised us that it was absolutely light and he was right. This went down super easy! All the ingredients were fresh and flavorful and my favorites were the melt-in-the-mouth Buffalo Mozzarella and the Sweet Peppadew Peppers. I would have appreciated if the Olives were pitted but I guess that is just personal preference. I didn't really mind it all that much. We then had the pasta, Linguine con Frutti di Mare which is Linguine pasta with King prawns, clams and squid rings in a rich tomato sauce with garlic, white wine and parsley. 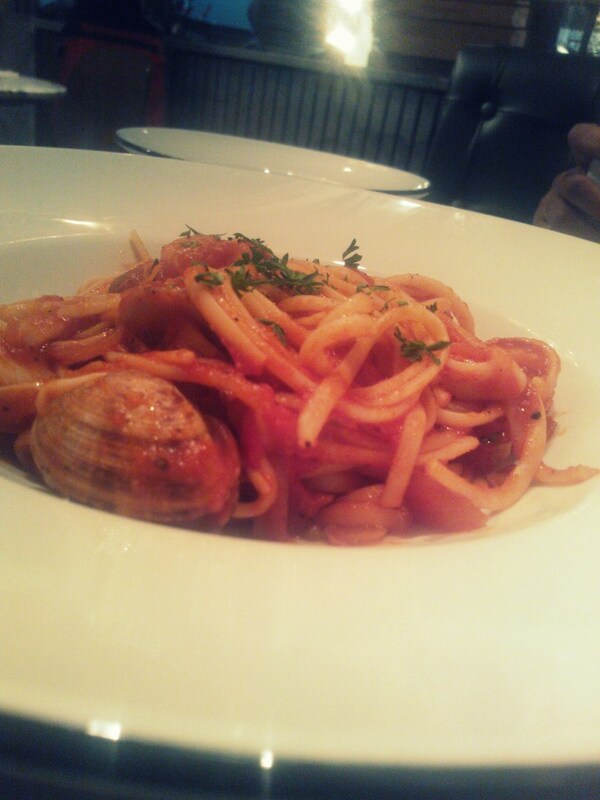 The pasta was cooked perfectly and the Clams and King Prawns were juicy! I am not all for a Pasta in Red sauce but this I'll happily have. This is half a portion. The actual portion is pretty big. The following course was the Salad which had me a little confused for two reasons. One because I usually eat Salad at the start of my meal and second because I would rather chomp on meat and Pizzas than a Salad at this point in my meal. Nonetheless, we had the classic Niçoise salad, and the Chef was generous enough to send us a smaller portion (actual portion is bigger as this is a Main Salad and not a Side Salad). 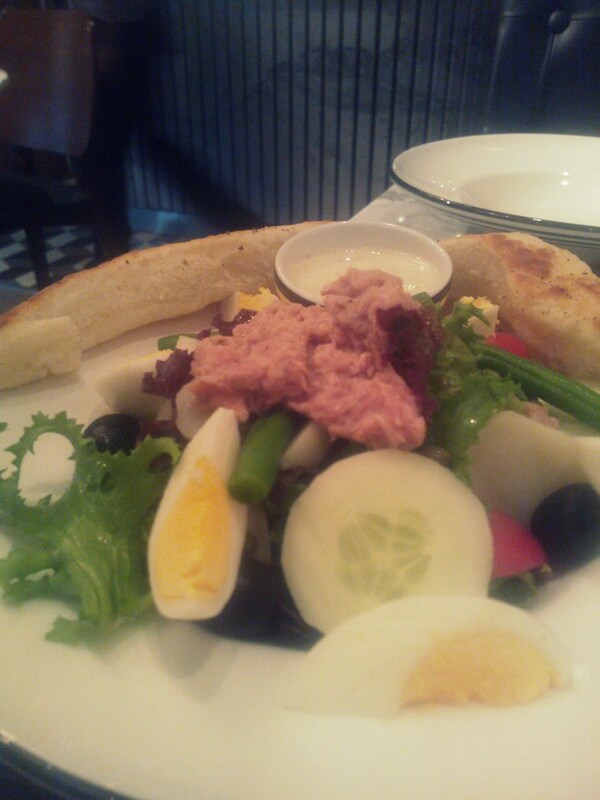 The Salad consisted of Mixed leaves, Tuna, Green Beans, new Potatoes, boiled Egg, Olives, Anchovies, Capers, Tomatoes, PizzaExpress house dressing, and warm Dough Sticks. 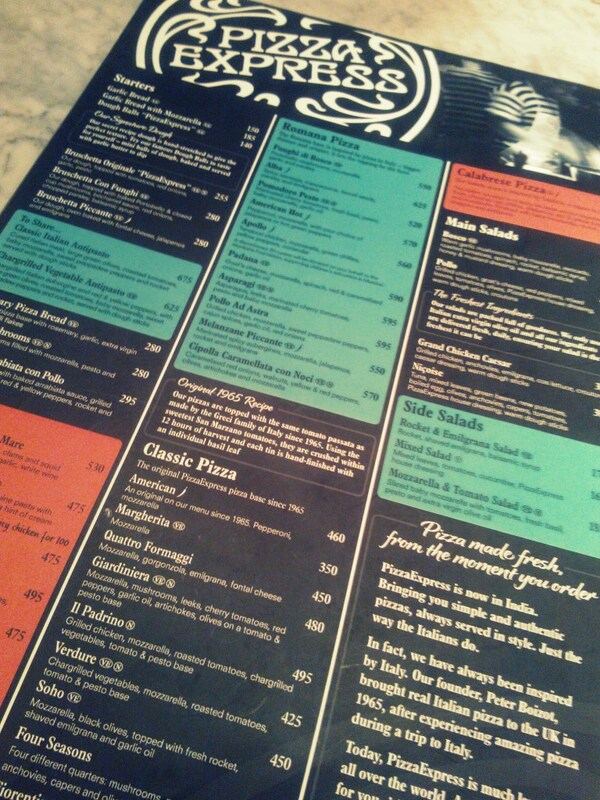 The salad was fresh and at the end of it, I thought it prepared me for the big beast, the Pizza! 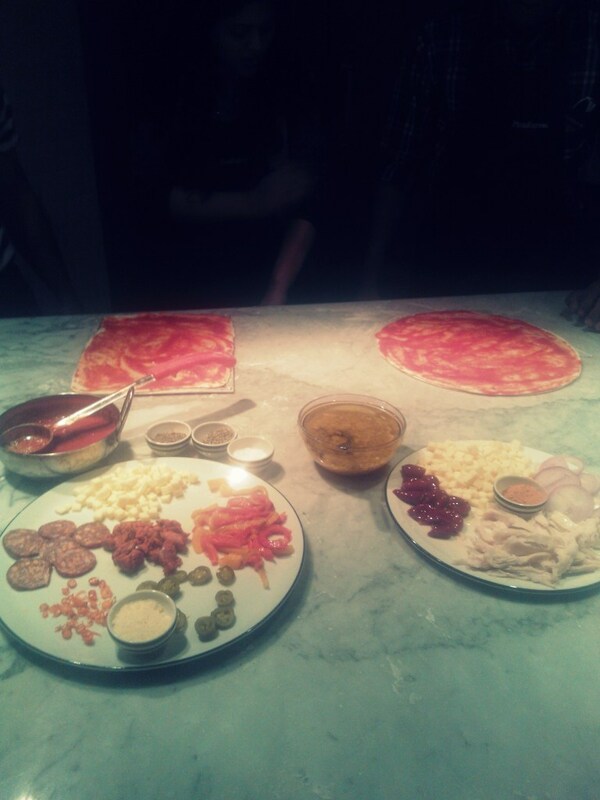 We got to make our own Pizzas! I made the hot favorite of Pizza Express, the Calabrese which is inspired by Calabria, a region in Italy. The Italian sausage and Spicy sausage are put together with finely chopped Red Chillies, Jalapenos, Red & Yellow Peppers and Mozzarella. 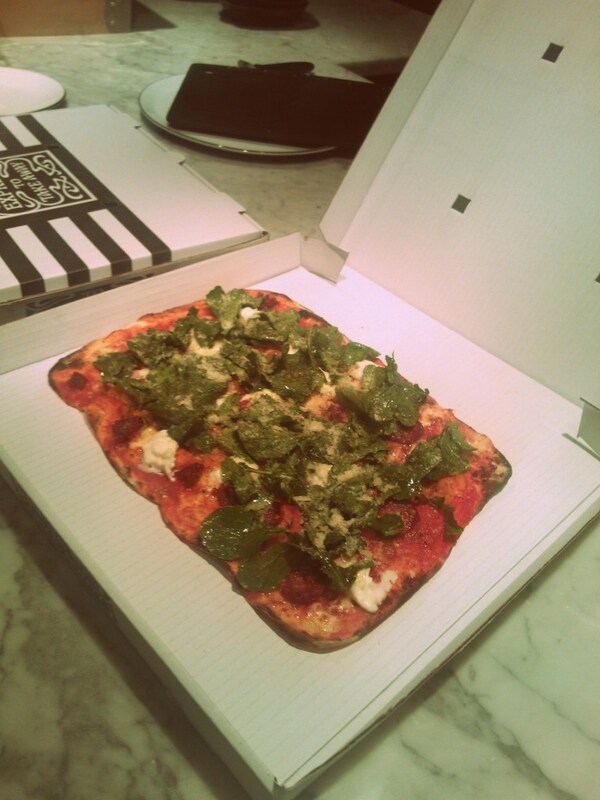 Finished with baby Mozzarella, Rocket, Pesto, Oregano and Grana Padano on a Dough bed that is Rectangular and not round. My friend got to make the Pollo Ad Astra, which had the Grilled chicken, Mozzarella, Sweet Peppadew Peppers, Cajun spices, Garlic oil,and Red Onions. I could go on and on about the stone heating ovens, the Pizza making process, and all the other technicalities but I would like to describe my Pizza in one word and that is PERFECT. I highly recommend the Calabrese to all you meat lovers! The Pollo Ad Astra is a lovely spiced Pizza for people who want to stick to Chicken! We also got to take these pizzas home in their awesome ventilated boxes which kept the Pizzas fresh all the way back home! And now we come to the part which I look forward to the most, the dessert. 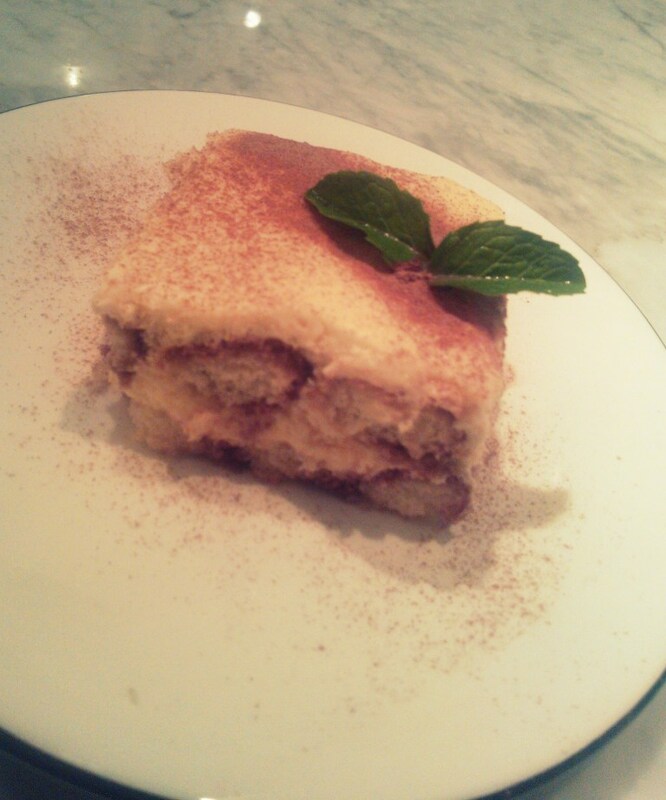 We called for the Tiramisu and their Baked Cheesecake with a Side of Mascarpone as well as Vanilla Ice Cream. The Tiramisu was nice and creamy but I think it was unfair to the Tiramisu that it arrived with the Baked Cheesecake which was simply fantastic. 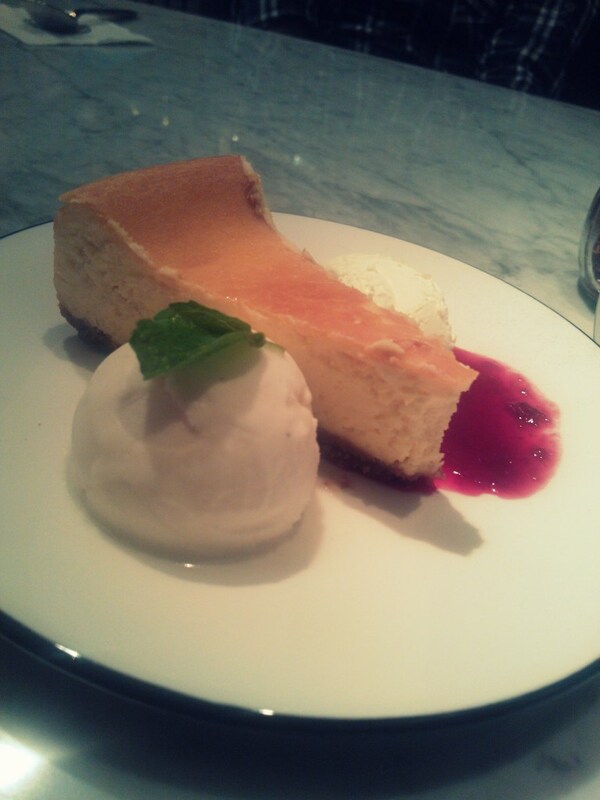 The Baked Cheesecake at Pizza Express is easily one of the best Cheesecakes I have had in Mumbai and I am more than willing to make a trip all the way to Colaba from Andheri just to have a slice of that Cheesecake. Yes, it is that good. 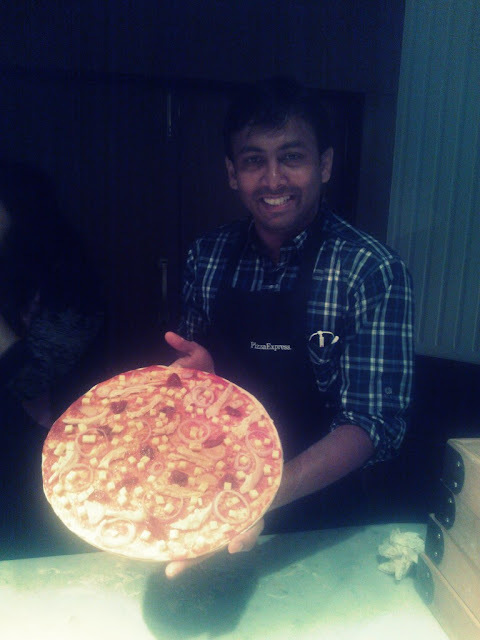 All in all, Pizza Express definitely has all the elements to make this as popular as their mother outlets in UK and everywhere else around the world. I sincerely hope they don't lose the plot and keep up their good work! Have you visited Pizza Express? How was your experience?